Hamilton is synonymous with aviation and we’re celebrating our first 100 years of timing the skies with a limited edition watch that represents the very best of Hamilton. 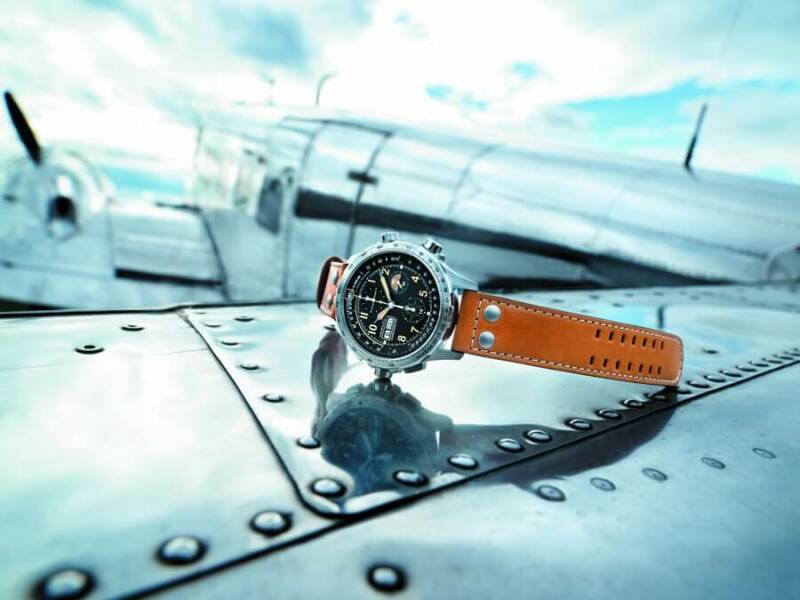 Based on the original Khaki X-Wind Auto Chrono, the 2018 Limited Edition is packed with aviation features for pilots and offers a technical perspective including the ground-breaking crosswind calculator of the original. Limited to just 1,918 individually numbered pieces, the Khaki X-Wind Auto Chrono Limited Edition features a robust 45 mm stainless steel case. Inside the case is the H-21-Si, the first Hamilton chronograph movement with a silicon hairspring. This material makes the movement more precise as silicon is non-magnetic and less sensitive to shocks. The former is an important feature for pilots because they often stay in environments with high magnetic fields, such as airports. In addition, the movement has been precision certified by COSC (Contrôle Officiel Suisse des Chronomètres) as a chronometer. Thanks to newly shaped hands and Super-LumiNova numerals in sand color that glow neon green in the dark, the watch has enhanced readability. 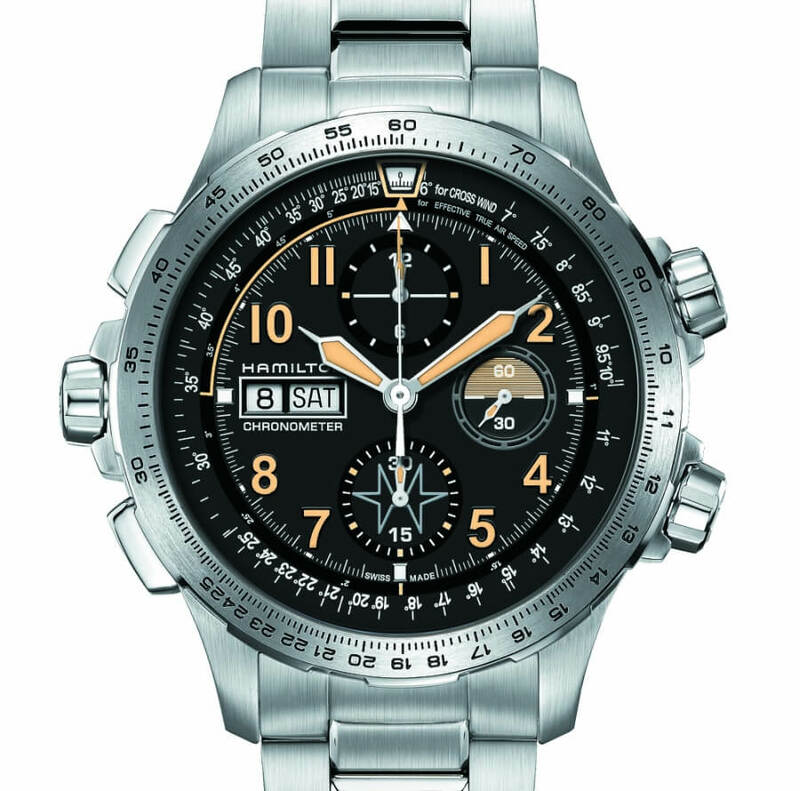 The multilevel black dial allows the eye to navigate between the three counters, the day date window at 9 o’clock and the turning inner bezels. The X-shape visible between the pushers and crowns surrounding the case complete this multi-dimensional theme. 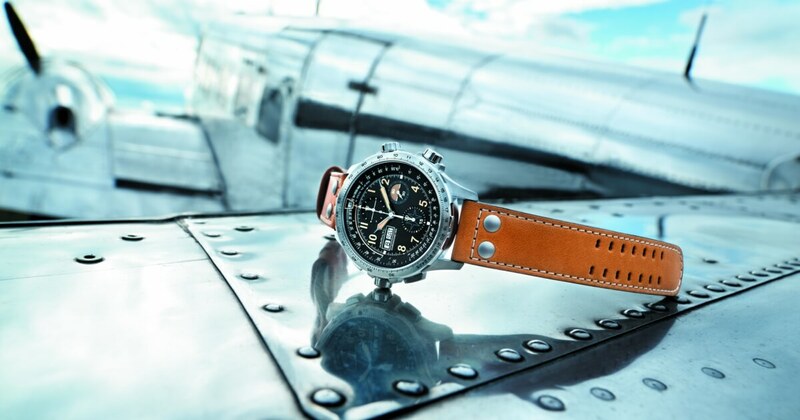 The ‘H’ buckle and sturdy leather strap are in typical Hamilton aviation style and there is also a metal bracelet for those who prefer a full steel look. 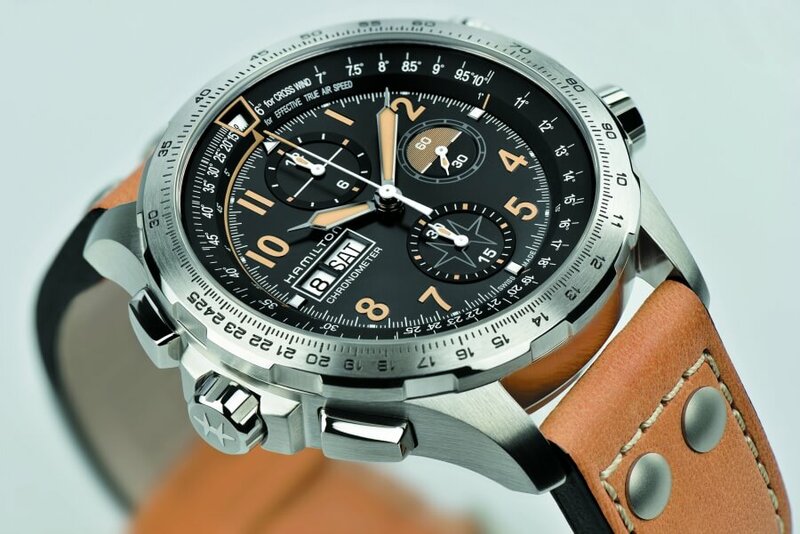 With the crosswind calculator on the turning bezel, the Khaki X-Wind Auto Chrono Limited Edition represents the very best of aviation timekeeping from Hamilton. Accuracy, innovation, a taste for adventure and a focus on precision have all contributed to making Hamilton the choice of professional aviators to accompany them in the cockpit. Hamilton is proud to celebrate our first century of timing the skies with a precision watch that represents our aviation heritage past, present and future. 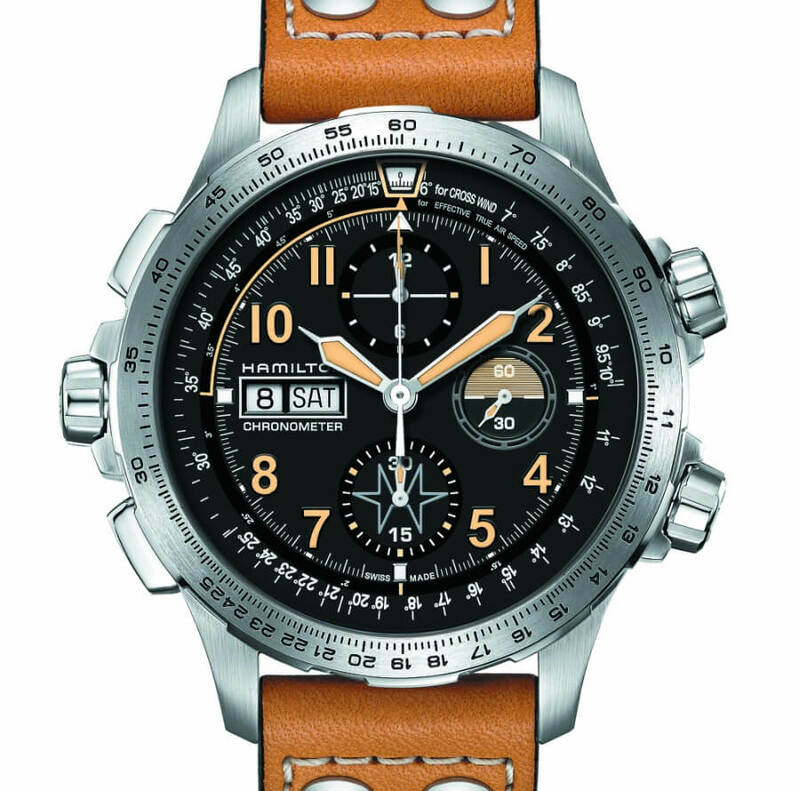 The price for the Hamilton Khaki X-Wind Auto Chrono Limited Edition will be $2,595 and will be available from May 2018.